Now the ever popular Bestop® Supertop® just got even better! These new Supertops kits feature all the same great quality that has been around for years but now feature the added bonus of Sun Block windows. Includes all required hardware and bow assemblies to install. The Bestop® Supertop® soft tops have become the standard against which all other soft tops are measured, offering the highest quality in function, fit, and style. 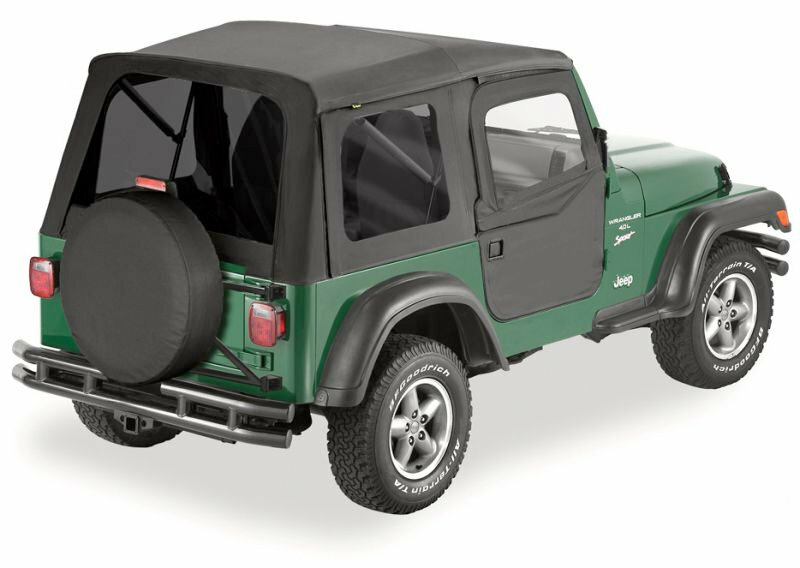 Supertop soft tops are available for Jeep model years 1955-2010, the Toyota Land Cruiser ('64-'84) and the Ford Bronco ('66-'77). Belt-Rail™ attachment system enables fast, easy installation. To keep your Bestop® Supertop® clean and protected, we suggest using Bestop® Fabric Care for unsurpassed appearance and long life.